Can “China’s Larry Summers” Deliver a New Growth Model? 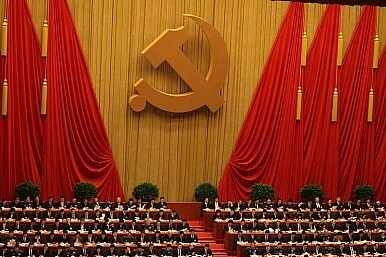 At the Third Plenum of the 18th Party Congress that begins this upcoming Saturday, the CCP is expected to unveil a new economic plan that it hopes will fuel growth for at least the upcoming decade. Liu He, a 62 year old economist and deputy director of China’s National Development and Reform Commission (NDRC) has been at the center of drafting this new model. The Wall Street Journal calls him the “prime architect” of the economic plan that will be introduced at the Third Party Plenum. It also reports that when former U.S. National Security Advisor Tom Donilon last visited China, Liu was one of the officials Xi Jinping insisted Donilon’s delegation meet with. “He is very important to me,” Xi reportedly told Donilon of Liu. Indeed, Liu was appointed to his current position on the NDRC by President Xi last March and is said to be an intimate member of the president’s inner circle. The two men’s relationship dates back to their childhood when they both attended the same Middle School. Liu ultimately began his career in a rather unassuming fashion, however, serving as a soldier and factory worker. Like Xi, Liu reportedly suffered during the Cultural Revolution when he was sent to Manchuria. But also like Xi, Liu recovered from this experience to go on to have a remarkably successful career rising through the Communist Party’s ranks. An economist who also has a degree in public administration from Harvard, Liu has spent much of his career in the government and party serving in the NDRC and its predecessor institutions, such as the State Development Planning Commission. From these bodies he has been an active participant in many of the crucial reforms China has undertaken during its reform and opening up period. At the State Development Planning Commission, for example, Liu helped establish 11 state industry policies, half of which were issued to the public by the State Council. He is also said to have participated in the drafting of nearly every Five Year Plan since the 8th plan in 1991. Mr. Liu played a particularly important role in drafting China’s current 12th Five Year Plan (2011-2015), and he gave a rare interview to Caixin back in 2010, in he which addressed the details of the forthcoming plan and China’s economic and financial issues. The interview is especially noteworthy because of the level of detail Liu goes into on important government policies, which suggests he may be a stronger proponent of transparency than many other senior officials in the CCP, although it’s difficult to say. Regardless, Liu is widely viewed as an economic reformer and in the interview he discussed the importance of “boosting domestic consumption, improving everyday lives, giving the government a greater role in social support, and facilitating urbanization.” Elsewhere, he has written that “China must change its mode of economic development more quickly” to one based more on domestic consumption rather than state-driven investment and exports. In 2003, Mr. Liu became the deputy director of the CCP’s Financial and Economic Affairs Group, which is an inner group that advises the seven members of the Politburo Standing Committee and helps both the Central Committee and the State Council conduct its economic policy work. Previous participants in this elite group have included extremely high-level officials such as former Premier Wen Jiabao, former Vice Premier Wang Qishan, and Zhou Xiaochuan – the governor of the People’s Bank of China and a leader in drafting China’s monetary policy. As if that wasn’t impressive enough, Mr. Liu was also one of China’s most important players in helping China get through the global financial and economic crisis back in 2007-2008. His work has made him one of China’s most influential economists, and many media outlets and analysts have taken to calling him “China’s Larry Summers”. In 2011, Liu became the deputy director of the Development Research Center of the State Council, an agency that conducts research and provides consultation on China’s national and economic development. The organization also assists in drafting the government’s Five Year Plans and generally promotes greater reform and development in China. As noted above, earlier this year he was promoted to deputy direct at the NRDC, where he leads the CCP’s Central Leading Group on Financial and Economic Affairs. Considering Liu’s impressive credentials, Cheng Li, a senior fellow at the Brookings Institution’s John L. Thornton China Center, told the Wall Street Journal in an interview, "Liu He has a very solid pedigree. He has worked in finance for 15 or 20 years. He's a talented economic technocrat.” And it will take someone with credentials like Mr. Liu’s to stand a chance at being able to introduce real economic reforms. In just a few days now, we’ll have a better idea about how successful he’s been.